Before I ventured on my way to England, first to London and then on to the Devon countryside, at the end of last month, I came across Jane Austen’s quote above. 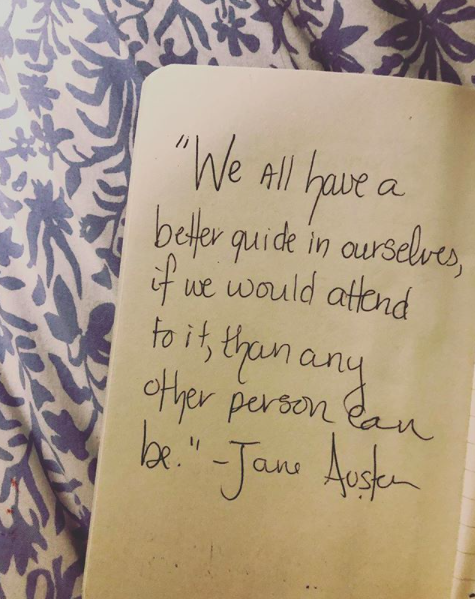 Unbeknownst to me, my trip would unfold very much as though Austen’s quote was a prescription of what was to come. I cannot recall when I first dreamt of visiting the English countryside. And while I have since my studying abroad in Angers, France, been a Francophile, the Anglophile in me has been steady, reserved, but always ever-present if only in the background. The moment the Great Western Railroad train emerged from London and into the green rolling hills of southwest England I saw what I doubted to be real until I saw it with my own eyes: peaceful grandeur void of harsh landscapes and offering simple vignettes of a quieter life. And then after acquiring my rental car, it was driving for the first time on my own in a foreign country as I shared more about in episode #185, that I saw even more intimately the farms, quaint towns of two or three thousand and stone lined roads and fields. What I discovered about the countryside and about myself surpassed expectation and gave (and still is giving) me great pause. For the two hour journey from London to Exeter, I chose a month in advance first class tickets. At less than £50 each way, I enjoyed free lunch, snacks, tea and a very quiet car with ample room, a table to work upon and comfortable, large seating. While I know choosing this option wouldn’t be a regular choice if traveling frequently, for a long excursion, it was a lovely choice that I highly recommend. First, while I grew up driving a stick-shift and quite frankly, miss it in my current car, I chose an automatic when given the choice since I was already going to be driving on the other side of the vehicle and the road. As well, the car with the automatic transmission had a navigation system installed. Two choices I am very glad I made to reduce unnecessary stress. I was constantly pinching myself. My eyes as well as all of my senses were dancing from one beautiful observation to the next. Nothing seemed too insignificant. 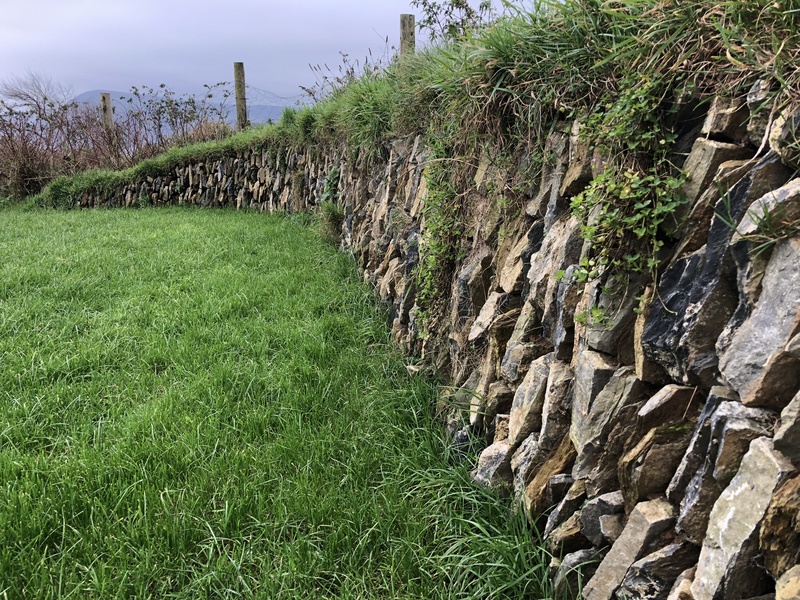 The stone graduating wall outside my cottage truly delighted me (seen below). While I did visit the Victoria & Albert Museum while in London, my primary objective was to enjoy the everydays in England. And so I did. Upon arriving at my cottage, I inquired with the owner as to where to pick groceries for the evening which she happily shared. She also gave me information about a couple of weekly markets to visit while I was staying in the area as well as a few other boutiques and shops. I took note. 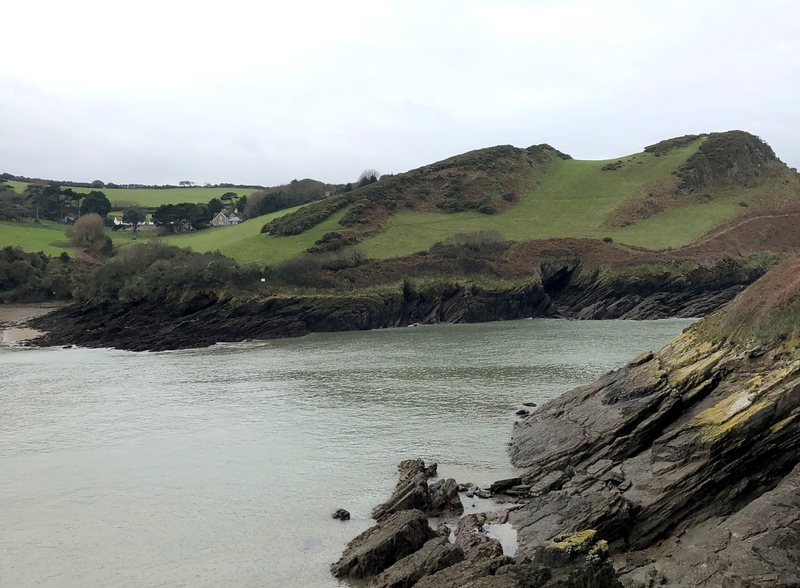 Each morning I would awake, enjoy my breakfast, take a walk either outside my cottage along the stone lined shore (as seen below – my cottage was just up on the left of the farm you see in the picture) or head to a nearby beach at Woolacombe (also seen below in the second picture) to stretch my legs. Then it was an opportunity to explore the nearby towns or visit the markets and pick up local produce for dinner or work on a project or read or nap or do whatever inspired me. Then dinner in my cottage, snuggling in listening to the “mizzle” smatter against the windows, followed by a long, luxurious soak in the soaking tub (be sure to check out the post on Friday to view this most magnificent detail of the cottage). Without a rigid schedule, I gave myself time to appreciate all the newness as well as history around me. While I would have loved far more time, I used the time I had to appreciate as much as I could, to make sense of what captured my eye and take note in my journal. 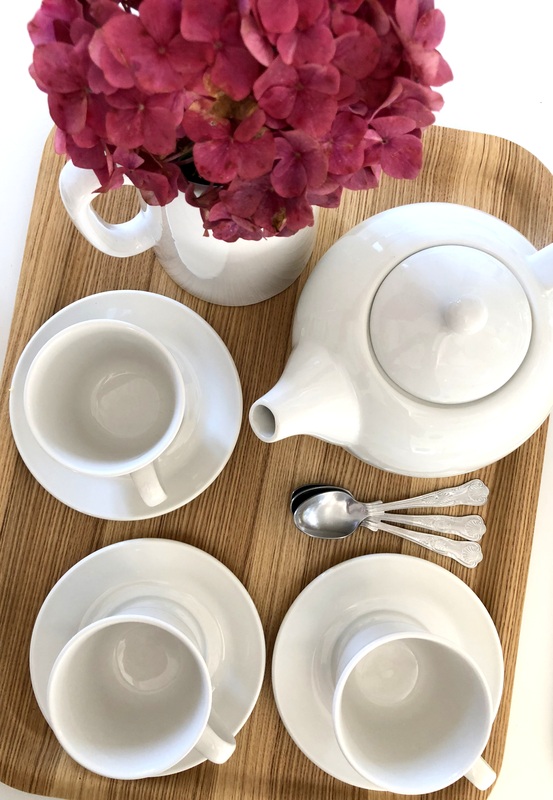 Of course, much tea was consumed, and the cottage was well stocked with a variety of options along with teaspoons, trays, teapots and many different sizes of teacups. 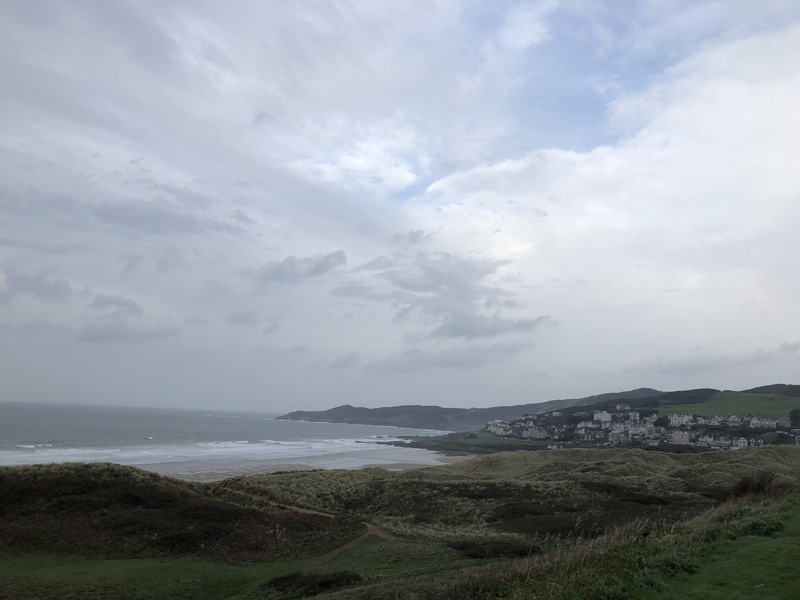 I was drawn to Devon to be near the ocean, to the specific cottage I chose to be able to see the ocean when I woke up, to walk along it each day. 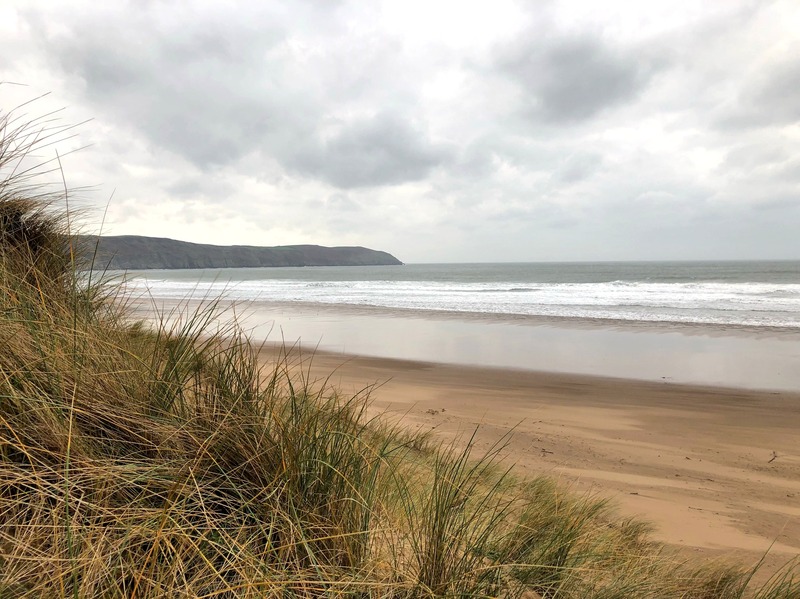 There is a calming nature for my mind when I stroll along the sand or along and have sight of it while I mosey along the edge of a cliff – my mind is present, yesterday and tomorrow are put aside and I am just there, full of more gratitude and dismissing all realities of time. Ideas dance, dreams feel more tangible and the power of Mother Nature evokes great reverence for all that has occurred thus far as my perspective grows. I was recently reading Mathilde Thomas’s book about French beauty and she shared something that I found refreshing and relatable. She commented how, based on her experience, unlike Americans, French families escape to a holiday cottage or getaway and refrain from making any plans. Rather they luxuriate about the house, relax, enjoy, shop at the local market and enjoy a casual, but jovial meal each evening. As I will share in more detail on Friday (here is the link), upon discovering the cottage I ended up staying in, I planned my getaway around its availablity as it was the house I wanted to spend my holiday in relaxing, unwinding and soaking in the large tub. 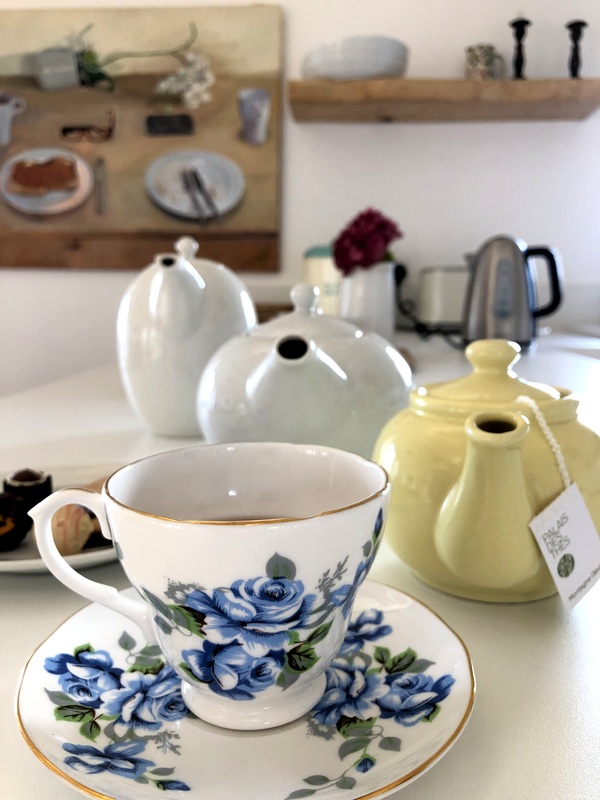 The only two “souvenirs” I brought home with me were not items that I sought out, but ones I came across while exploring one of the markets I visited and one of the nearby town’s city center: a £2 mini butter-yellow teapot and a £3 tea cup and saucer (seen below). 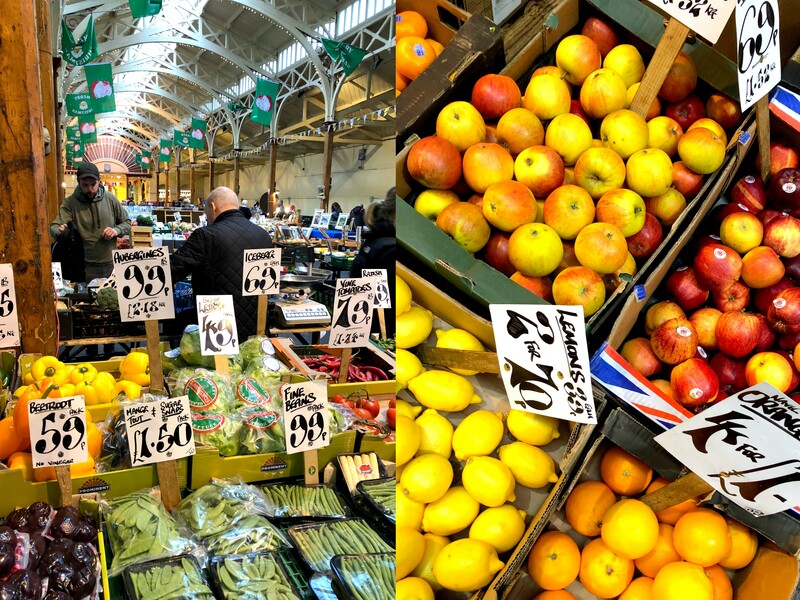 As I mentioned in #4, visiting the markets for local produce was something I sought out, and upon doing so had lovely conversations with locals (one inquired if I was from New York which made me smile and yet another taught me how to pronounce Barnstaple correctly – his patience was greatly appreciated). As mentioned in #9, ask questions, show interest and be open to learning. Visiting the English countryside has always been an interest of mine. As to why, I cannot pinpoint a precise reason except to say, it spoke to me. As an English major in college who chose to focus heavily on British literature and in my minor courses, British history, my fascination only deepened. And while I, like most English speakers, most likely travel to England and the United Kingdom partially because we can speak the language for the most part, being able to converse without having to construct a sentence thus limiting my ability to absorb the moment and converse deeply was a significant bonus that I didn’t fully appreciate the last time I visited London. From running into spaniel pup after spaniel pup on nearly every walk I found myself, discovering the country’s love for dogs to be akin to my own, delighting in the observance of Parliament’s discussion on the budget presented by the treasurer alongside the Prime Minister, and having a good cup of tea wherever I found myself, I began to realize my Anglophile nature is far stronger than I give it due. 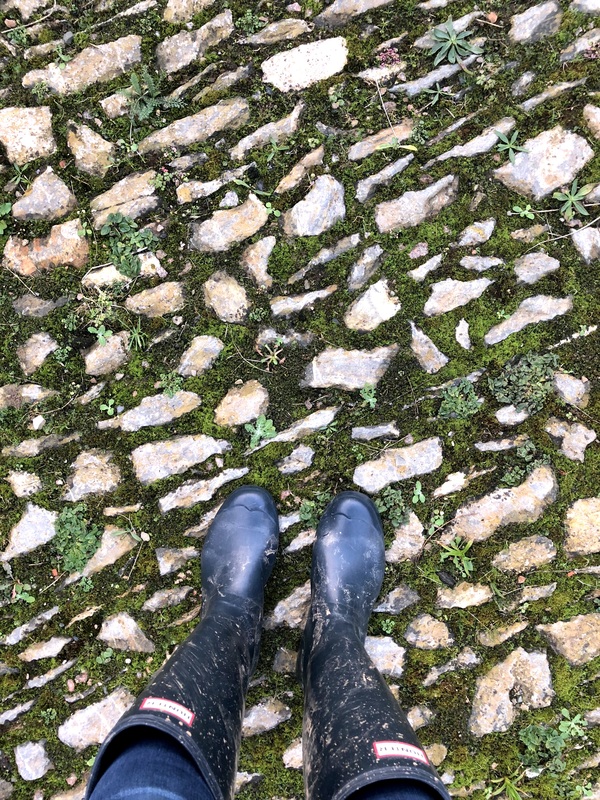 As someone who grew up in the country able to wander about on 20 acres of wide open spaces and Mother Nature nearly everywhere I gazed, being back on a farm (that was far larger than what I knew), pulling on my boots to go about my business outside and simply wandering about in the fields felt like home. Having the chance to take a walk with the owner through the pastures with her dogs, I felt a kinship I have not felt in some time with the daily routine of stepping outside, no leashes required and land aplenty. 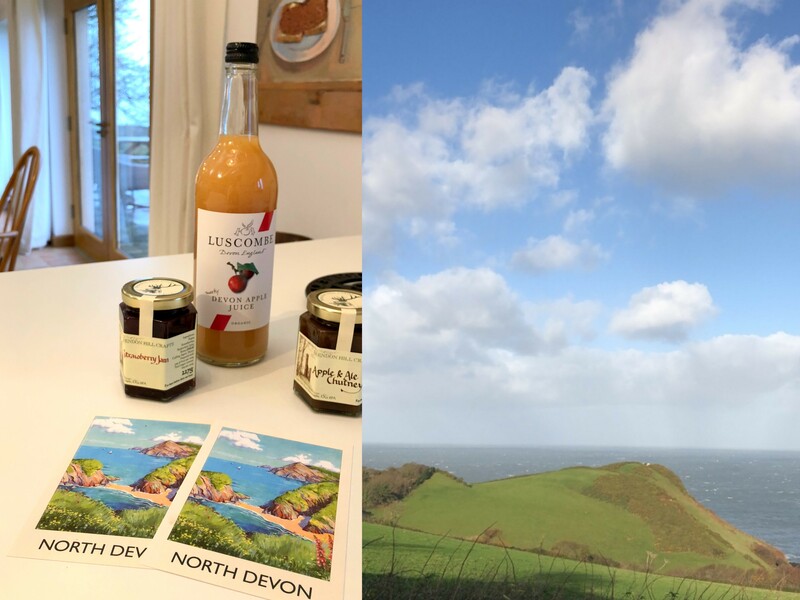 In all sincerity, thank you to my British readers who reached out while I was traveling in the country, said hello and shared with me where they were from with regards to Devon. Your warmth and invitations made me feel most welcome. I am in all seriousness taking a long look at England as a future destination to live for a long-term basis once I attain a visa and would be open to receiving any and all advice and recommendations you have about . . . well, anything. Now some TSLL readers may be saying, what about France? And I will quickly assuage your fears, France will always have a special place in my heart. In fact, simply knowing I was so close to the Gallic land made me even more eager to hop the channel, but I will save that for this summer (2018) – see my trip here. And I couldn’t imagine a more lovely combination than living in England and having France so near to visit when able, more frequently than not, could you? Until life’s journey reveals more of her answers, I will trust in Jane Austen’s words from Persuasion, “Time will explain.” Of that, if the past is any indication, it most certainly will, so long as we each stay attentive, observant and reveling in the journey as we travel along. 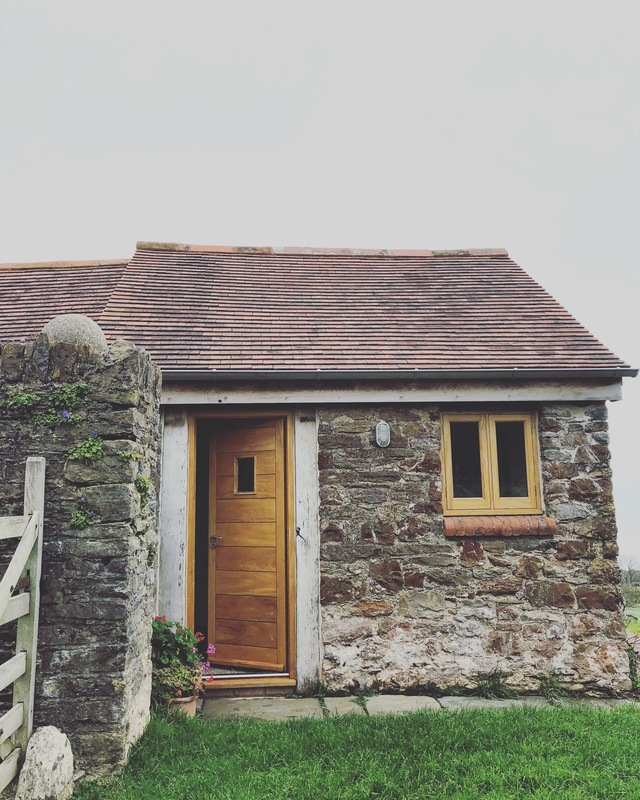 Be sure to stop by the blog on Friday for a detailed post on the cottage I stayed in, how to rent it or one similar to it throughout the English countryside. 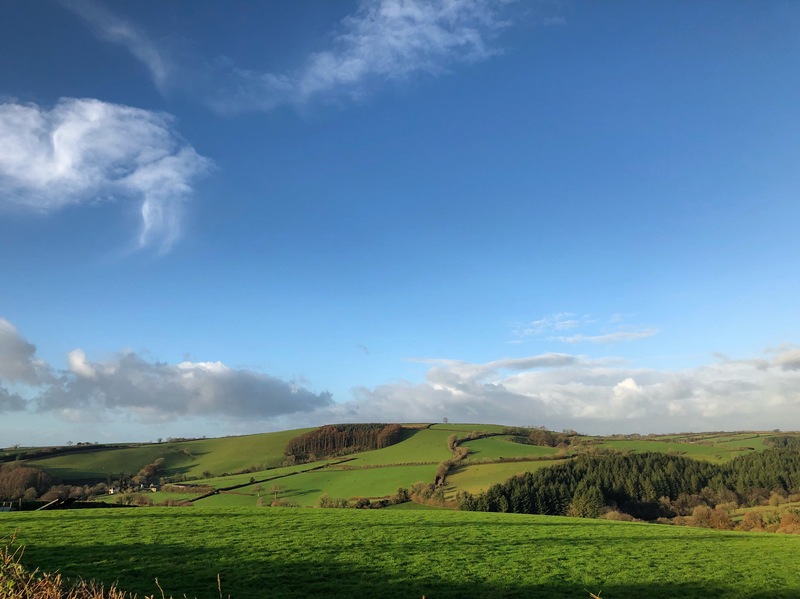 As well, the big reveal of the new addition to the simply luxurious life destination is here and can be viewed in full in this post will be shared on Friday, much of which was inspired by my stay in Devon. 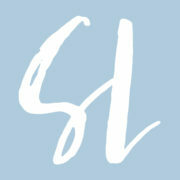 ~View more posts from the Archives of Shannon’s Journey here. What a wonderful post Shannon! You make me appreciate my own country more and realise that you don’t have to be in Paris or USA to live a well chosen SL life. IF you come and live here I hope you will do public events especially when you publish your new book! Look forward to reading about the cottage. I appreciate your enthusiasm. 🙂 I had such a wonderful time. “All Things Bright and Beautiful” and “All Creatures Great and Small.” I so loved James Herriot’s descriptions of wandering the countryside and your descriptions and gorgeous pictures brought it all back. It is only in nature that I find my truest and most appreciative self. Thank you. Thank you for your time. It was a truly lovely and most memorable experience. I felt a bit like Beatrix Potter with all the bunnies bouncing about on parts of my walk on the farm. Sound wisdom! A great way to begin the day. Thank you!! We are relocating to the UK in a few months and love all the stuff you have been posting. I would love to know about the cottage but the link in the post does not work. I look forward to more. The link will work on Friday (as shared in the post). 🙂 Stay tuned. Devon was my home until I came to Canada in my 40’s. I continually ask myself why? Really??!! What do you miss the most if I might ask and what drew you to Canada? I have been reading your blog for years but this isn’t the first time that I have commented. I am British (I live near the Lake District in the North West) and I am so glad that you love our country which, without wishing to sound smug, is truly beautiful and a splendid place to live. Devon is a remarkable county and I am not surprised that you have fallen in love with it. I read a blog of a lady who lives on the south coast of Devon; she is called Margaret Powling and her blog is called “ Devon Dreaming”. Do take a look, I am sure you will love it! Thank you so much for your excellent work on your job, I look forward to it everyday. Thank you for sharing her blog with me. This is exactly what I have been looking for: fellow bloggers, residents or expats who currently live or who have experience in England’s countryside living. I look forward to checking her site out. Thank you for your time. Shannon, this post and those photos are absolutely perfect. Reading it once was not enough. The second time I read this post, I paused with each section, reflecting on moments in my own life. I can’t say enough about this post today, just love it so much! I have dreamt of going to England my whole life and perhaps it will happen now! Thank you with all my heart for all you share with all of us who follow you, it is delightful and gives me hope that the world does still have so many wonderful and beautiful things to experience! :) And it does. Not related but check out A Cat’s Attic: Yusuf/Cat Stevens Was just out on PBS. Absolutely a must see if you ever liked Cat Stevens!! Sorry about the length… and thanks for sharing this wonderful trip !!!! Hi Shannon! I am from Ohio but have lived in Dorset (Devon’s neighboring county) for 13 years now with my English husband. I love it! It took a few years to really acclimate and feel like I belonged but I feel so lucky to live here in one of the most beautiful parts of the country. 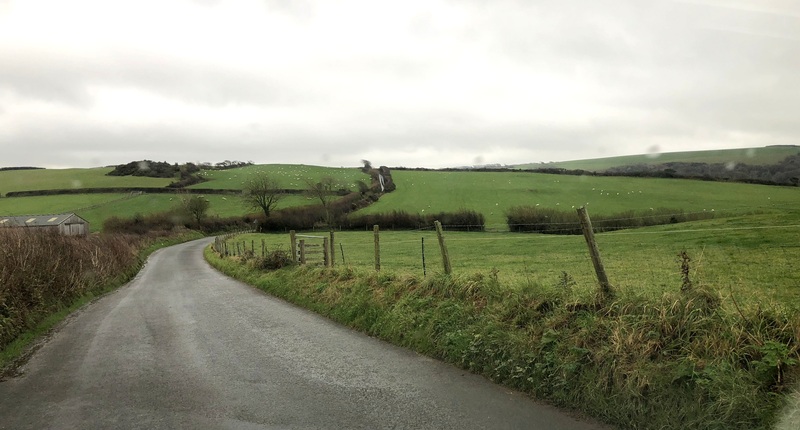 Devon is a gorgeous county with hidden coves, one track lanes and is so green! You definitely captured its essence in your blog post. Next time you come you’ll have to see Cornwall, it’s a real gem. British people on the whole are warm, considerate, open minded and have a brilliant sense of humor. I think Britain is a perfect “halfway house” for Americans who want to live abroad as it offers that exotic foreign-ness they’re after but is easier to navigate language and culture-wise. I studied French in college and studied abroad in Caen, Normandy, which is just over the Channel. Our small local airport offers regular inexpensive flights all over Europe, ideal! Sarah, Thank you for these recommendations. I am taking them and adding them to my notebook for places to visit. I cannot express enough I appreciative I am. I’m late in responding so am uncertain you’ll see this…. Thank you for taking us along on your lovely adventures! Shannon, I too fell in love with England when I visited 2 years ago. I had never really had a yearning to go but I was traveling with my sister to Paris for the first time to celebrate a milestone birthday and she wanted to go. I absolutely fell in love with London and the English people and can’t wait to go back and perhaps explore the beautiful countryside. I also appreciated exploring a new country and not having the challenge of a language barrier. Thank you so much for sharing your holiday with us!! Thank you so much for all you do.